It seems like Eloy Jiménez’s time in the minors will be coming to an end. 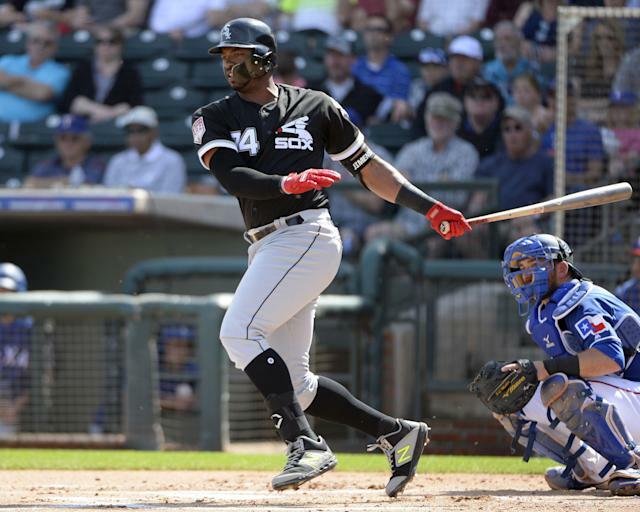 As ESPN’s Jeff Passan first reported on Wednesday, the Chicago White Sox have finalized a long-term deal with Jiménez, their top outfield prospect. Passan and Ken Rosenthal of The Athletic both reported that the deal is for six years and $43 million, with two club options that could bring the deal to eight years and $77 million. Jiménez, 22, is one of the top four prospects in baseball. Originally from the Dominican Republic, he was signed by the Chicago Cubs in 2013 as an international free agent. The Cubs traded him to the White Sox in 2017 as part of a package for pitcher Jose Quintana. Jiménez struggled in spring training (.154/.154/.346), but is widely considered to be ready for the majors immediately. Despite that, the White Sox initially optioned Jimenez to Triple-A on March 13. However, that tune has changed now that Jimenez in locked into a long-term deal. While not official, Eloy Jimenez will be on Opening Day roster. "That decision as to final 25-man roster influences a lot of people, not just (Eloy)," Hahn said. "But I know both of us are certainly looking forward to Opening Day and Eloy getting started in his White Sox career." Manipulating the service time of young, talented players is illegal, but has become common practice for MLB teams as a way to gain an extra year of playing time at minimum salary. Sending Jimenez down to the minors to start the 2019 season meant that he wouldn’t accrue the necessary service time to become a free agent until after the 2025 season instead of 2024. But the contract makes all of that irrelevant. Jimenez will be with the White Sox through his service time commitment, and possibly longer. Jimenez represents the future of the White Sox, and while he’s no Bryce Harper or Manny Machado — at least not yet— he’s something for fans to get excited about.